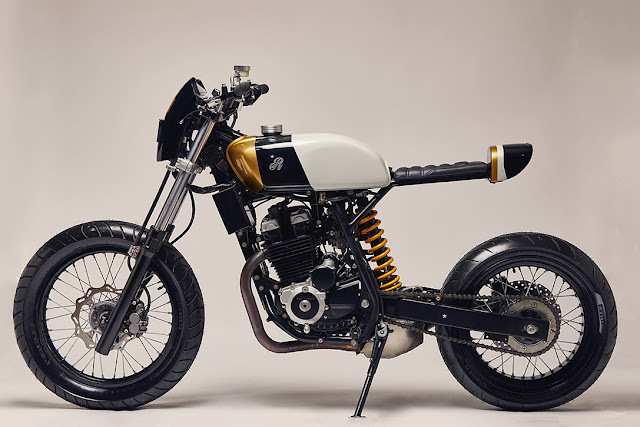 Today we are featuring Honda XR 250 modified by Republica Motorcicletas, Argentina. This single cylinder trail bike got the complete makeover by them. The Honda got the furturistic cafe racer tail and sleek seat with Harley Davidson front fender customised as headlight mount. 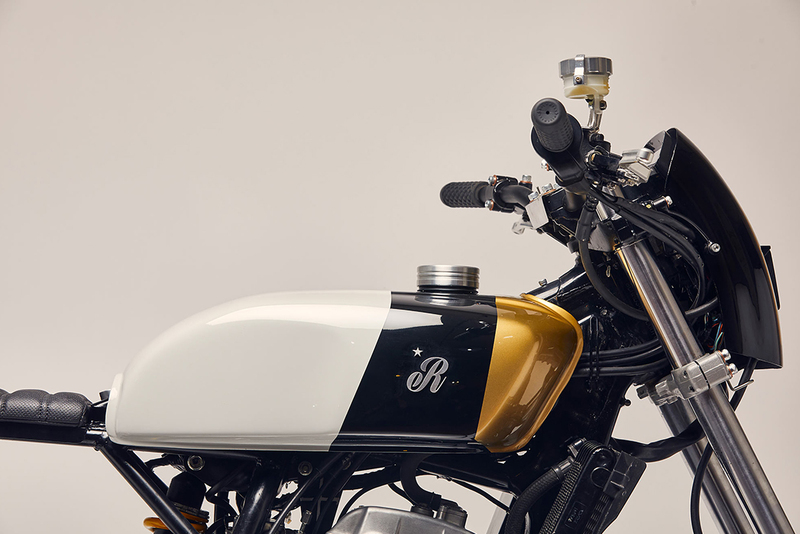 Republica used fuel tank from the 1979 Honda Supersport. 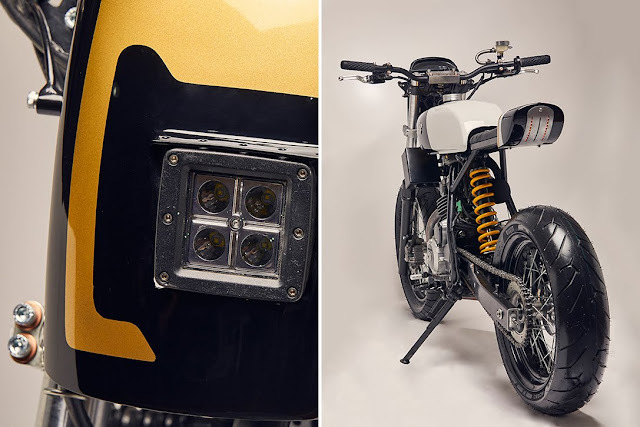 They have worked on even the smallest of the details like the brake liquid reservoir, fuel tank cap, tail light LED strip and headlight design. Color scheme of gold, black and silver gives the most artistic kind of look to this beauty.